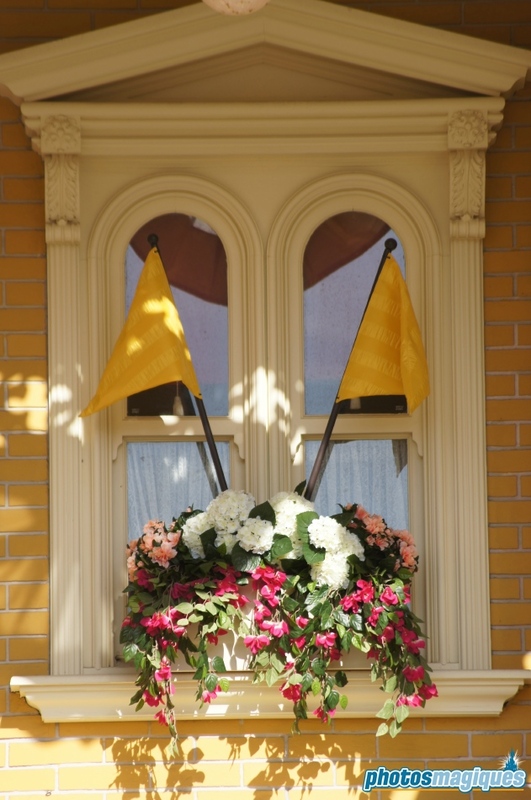 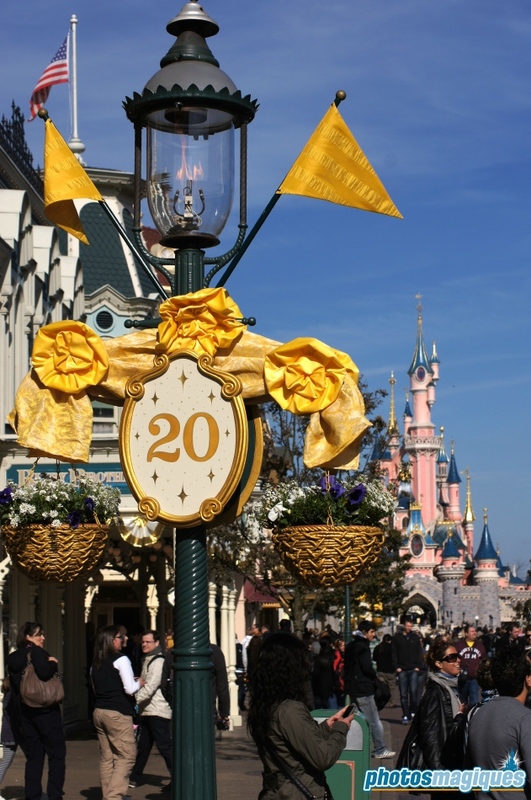 Main Street, U.S.A., the park’s most famous street, is decked out with golden banners, flags and special decorations on Main Street Station! 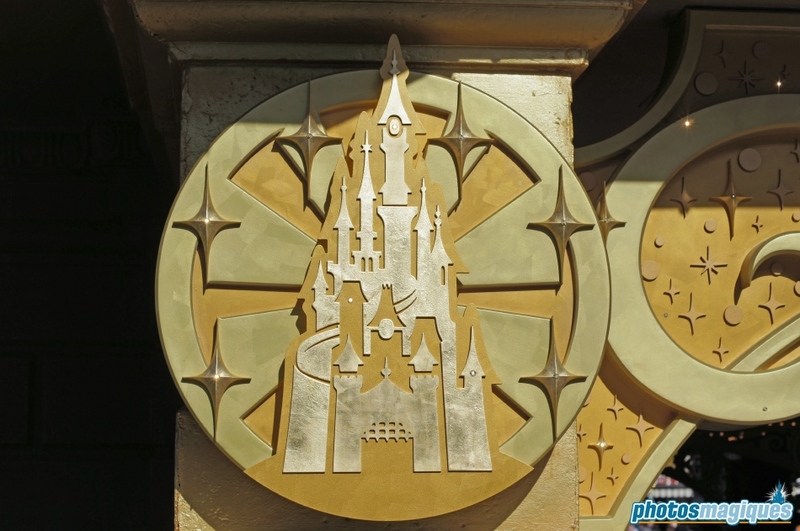 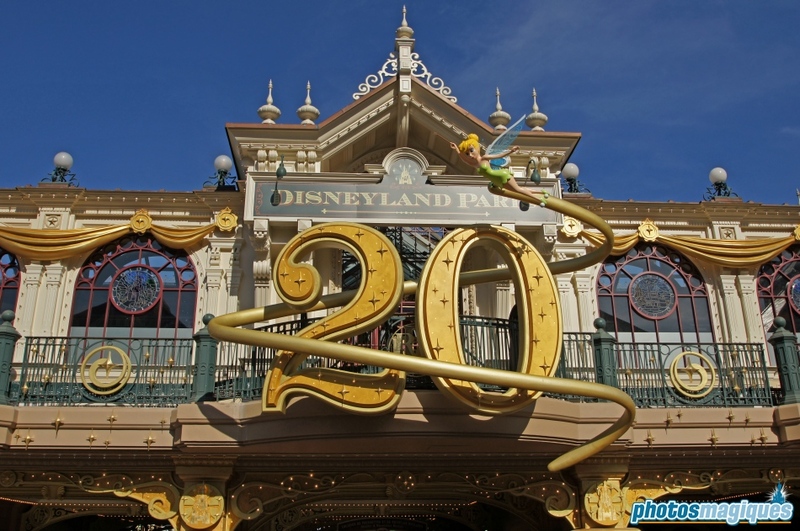 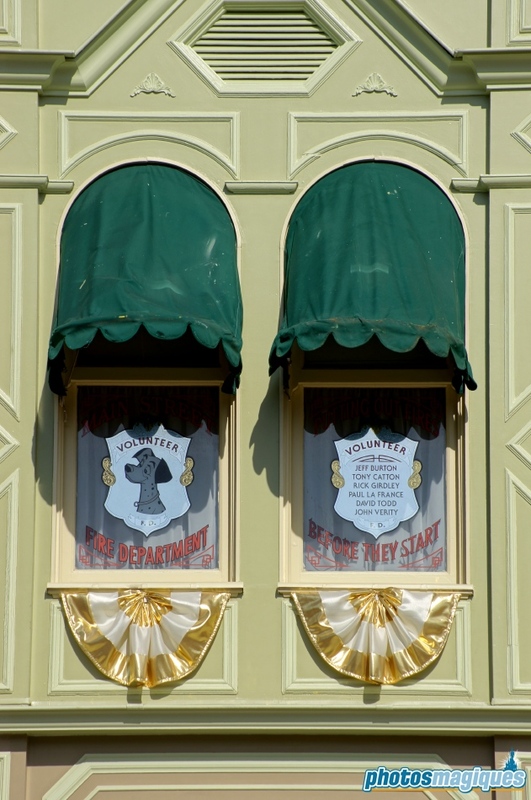 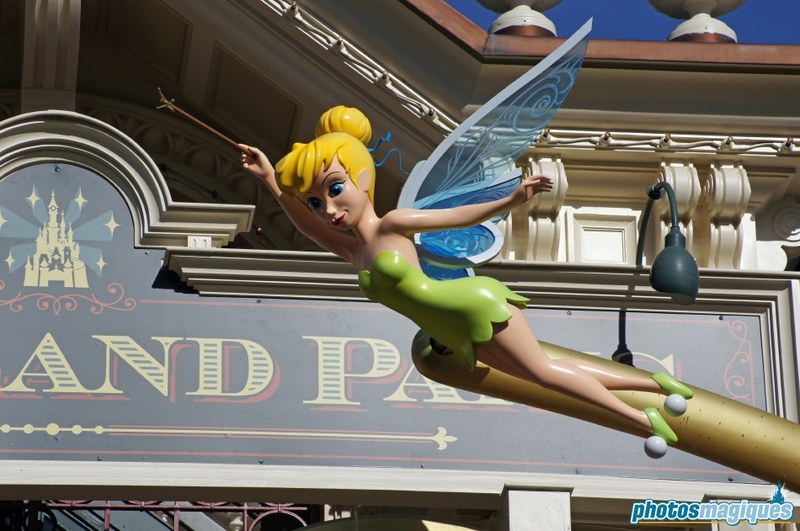 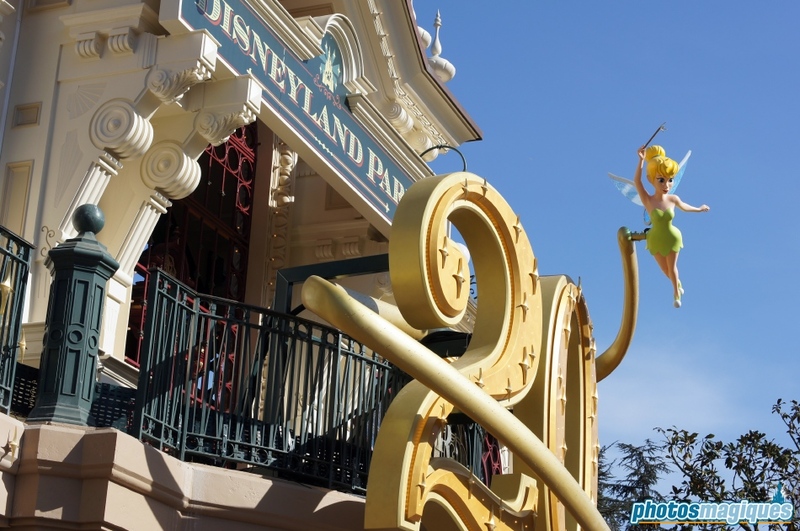 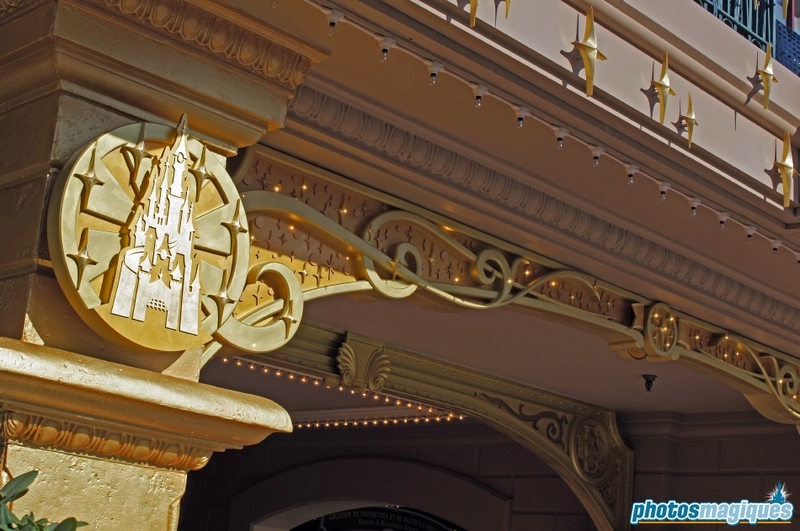 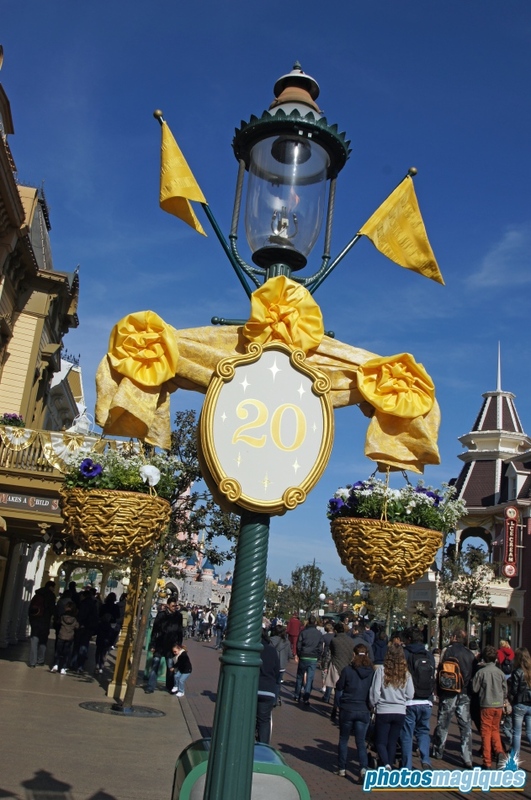 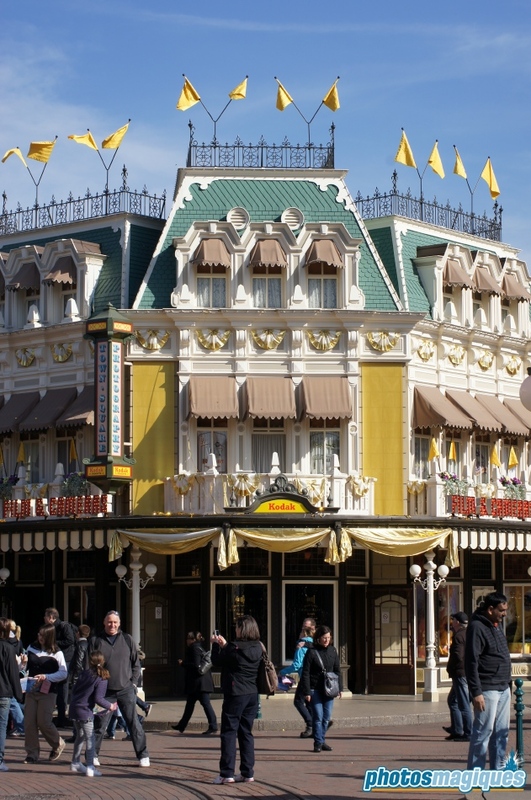 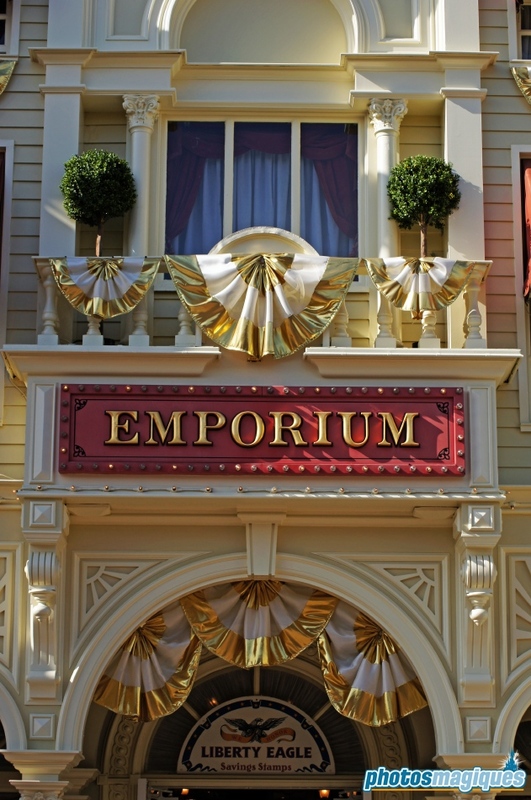 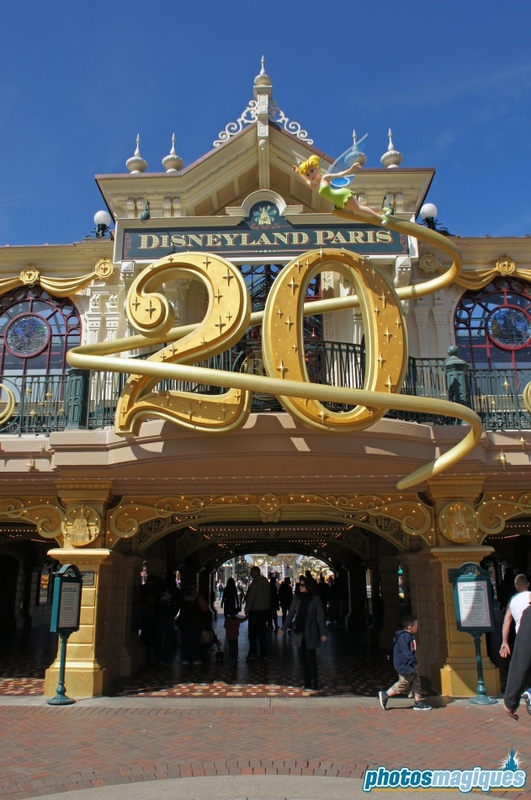 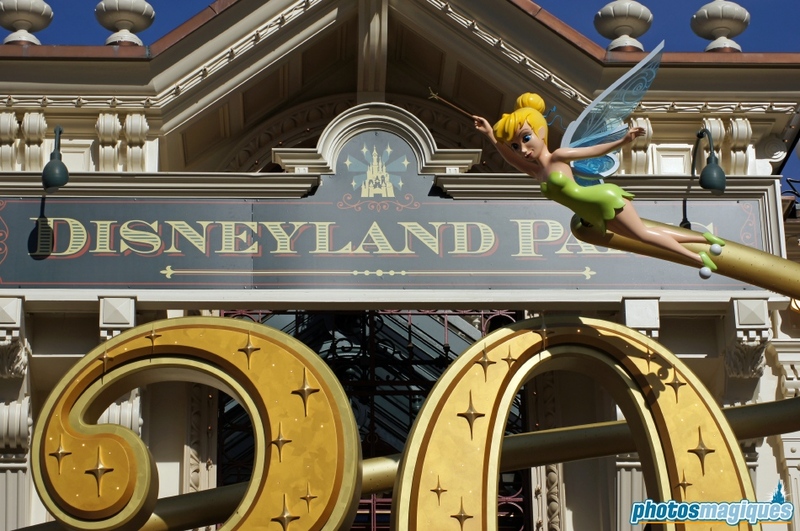 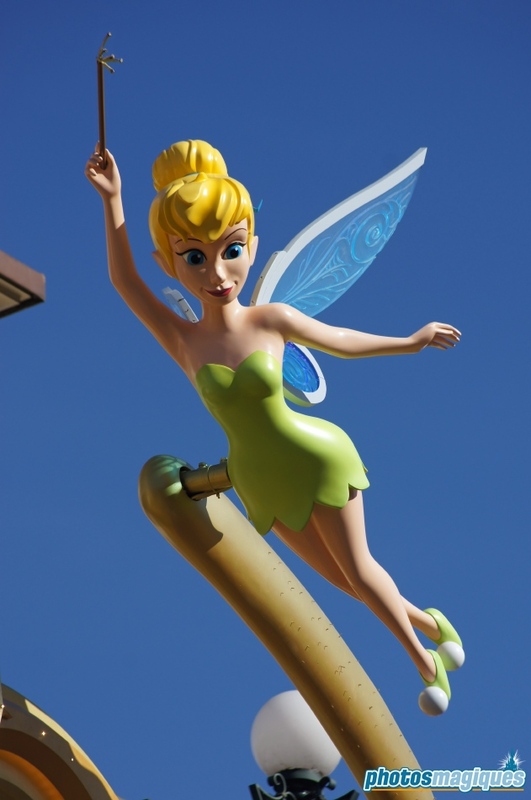 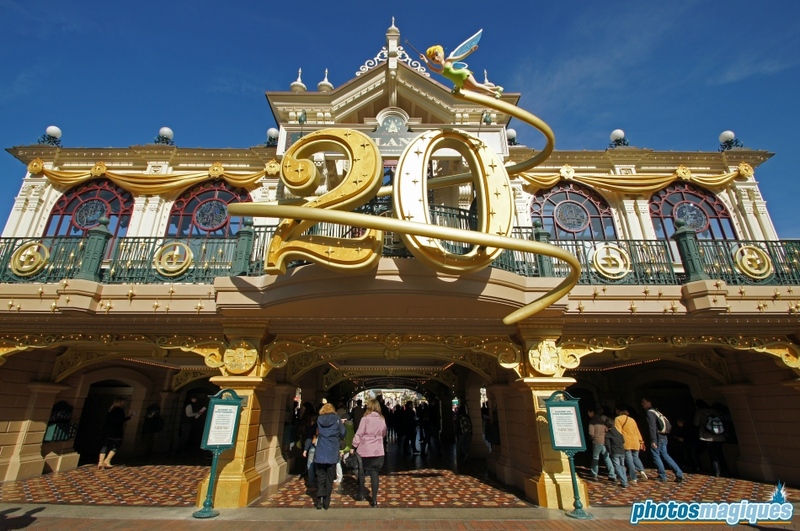 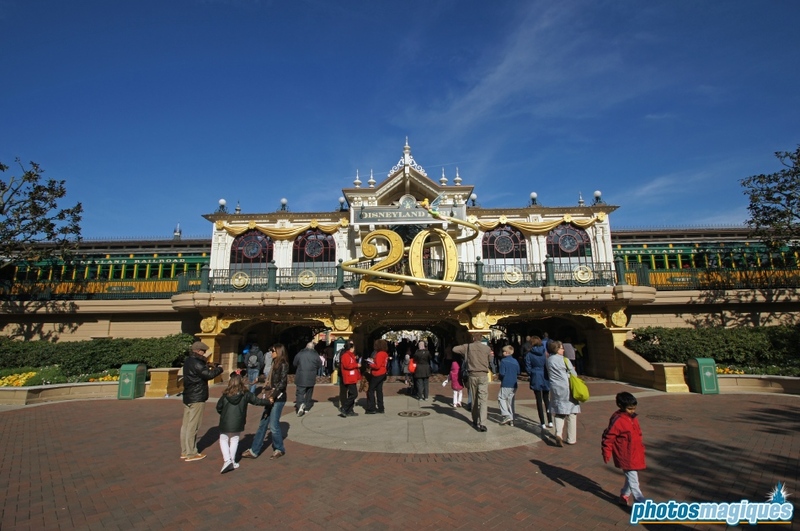 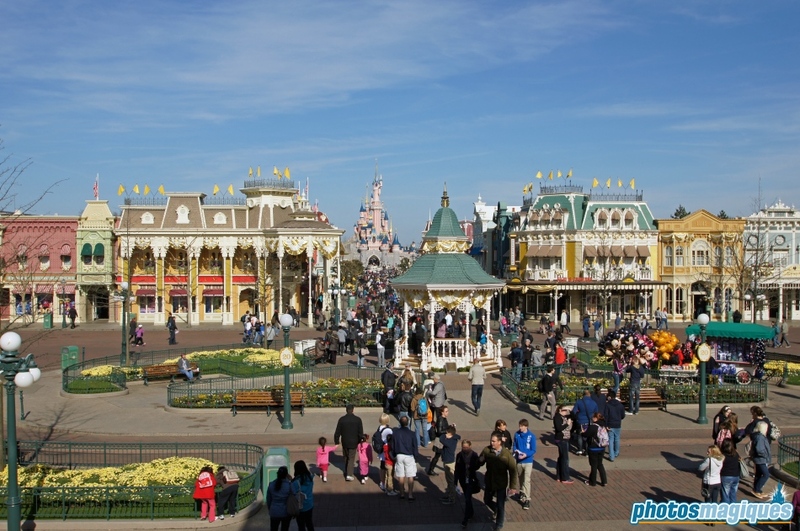 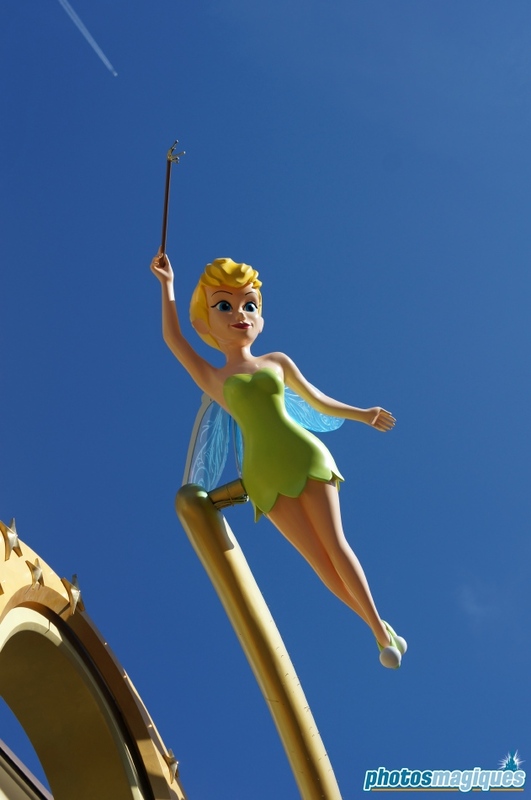 The pillars of the station have been painted gold and a large 20 with Tinker Bell hovering over it decorates the front of the façade. 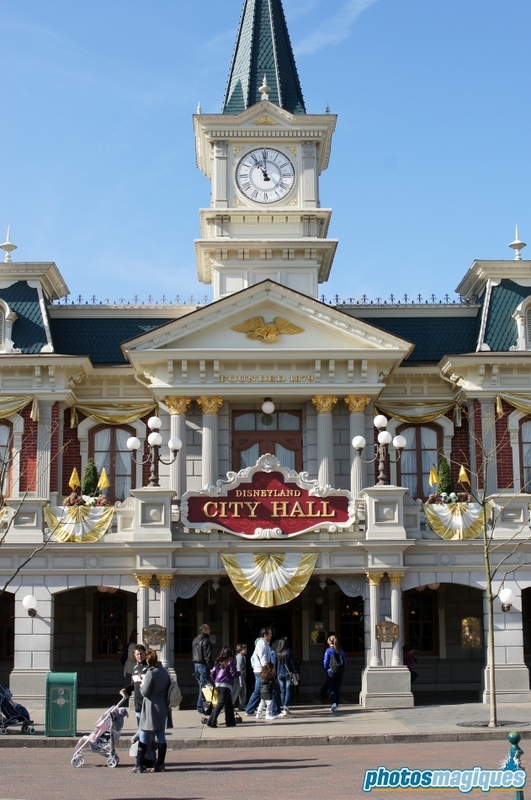 At night, Main Street Station lights up in a magical way with hundreds of lights. 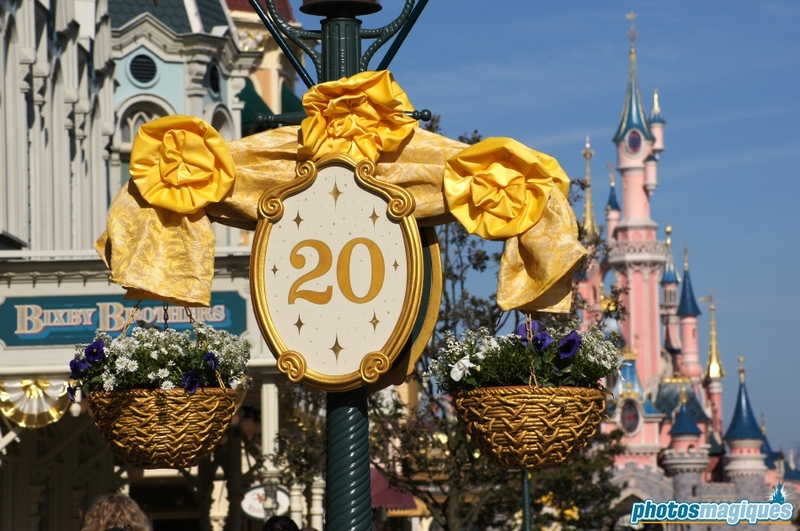 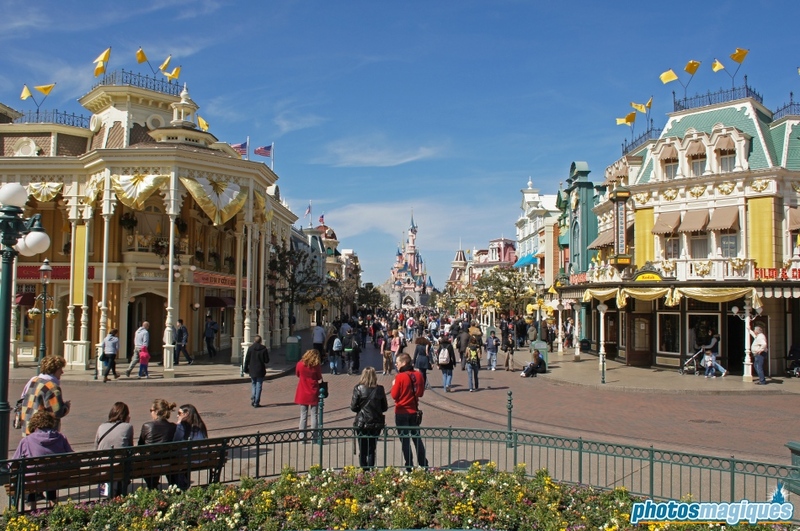 The orginal “Main Street, U.S.A.” sign has been temporarily replaced with a “Disneyland Paris” themed sign. 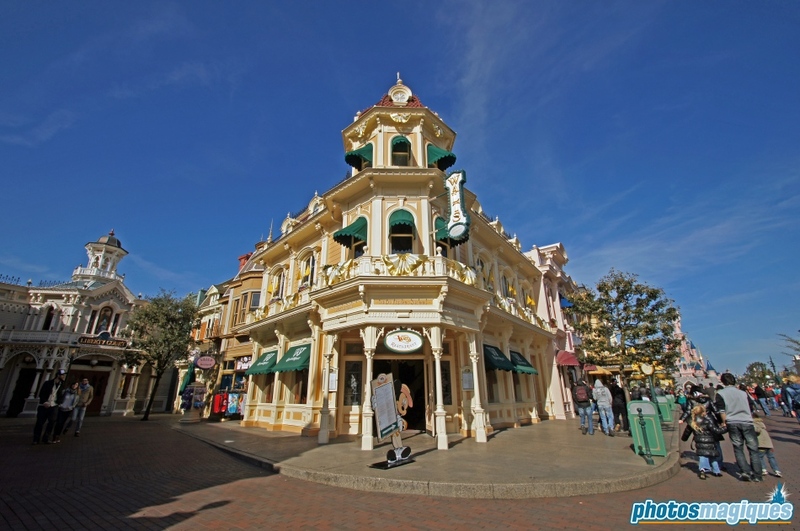 When taking photos at night of the lit up Main Street Station, try to minimise the movement of your camera. 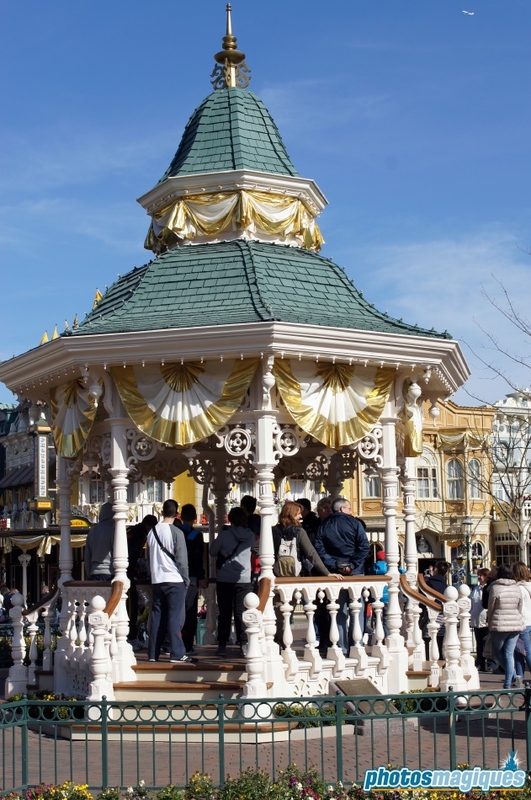 You can use a trash bin nearby as a makeshift tripod.